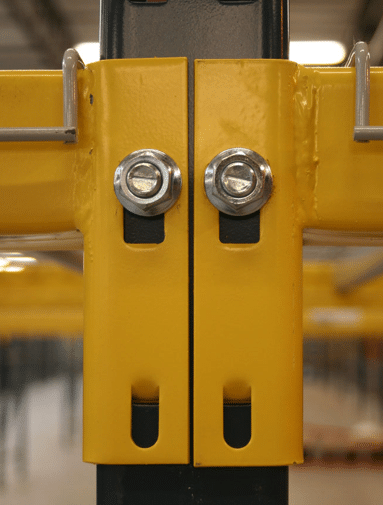 Unarco’s T-Bolt pallet racking system utilizes a patented front-end-only beam-to-frame connection. 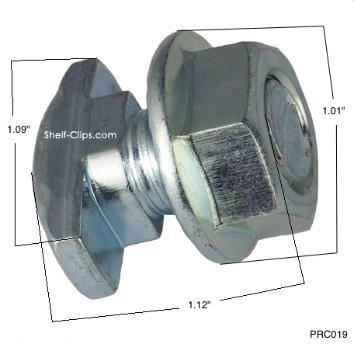 This design saves valuable pallet rack installation time. 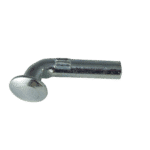 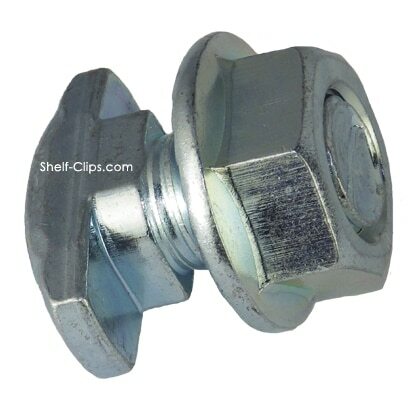 The Unarco T-Bolt Pallet Rack Clip simply inserts through a hole in the the beam end connector, then into the upright, and with a simple turn the T-Bolt locks into place. 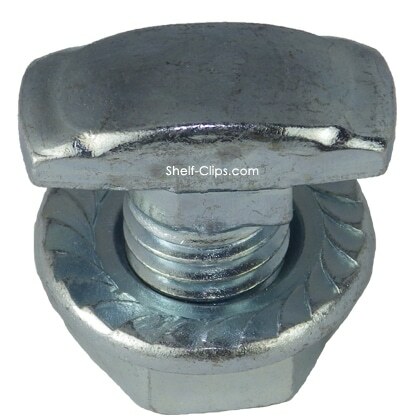 With this unique design, the nut is tightened from the front of the rack system. 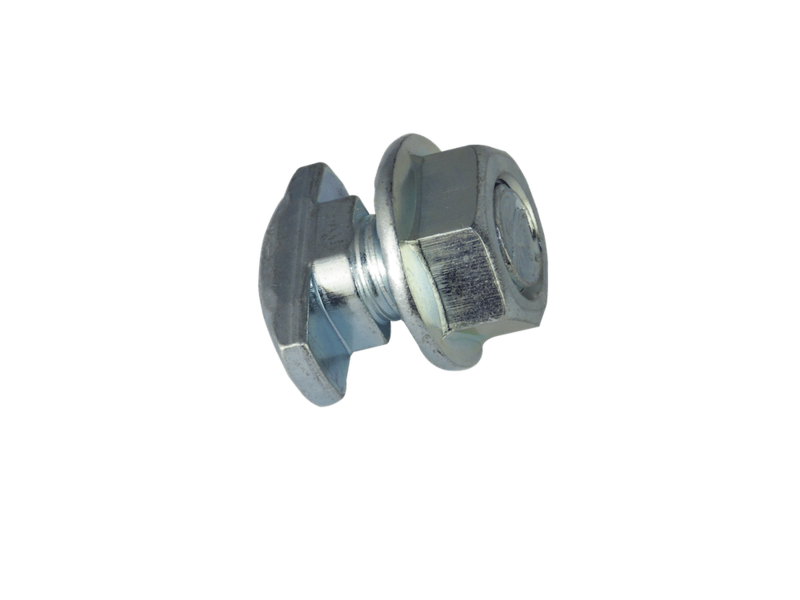 When the Unarco T-Bolt Clip is tightened to 90 foot-pounds of torque, it eliminates the possibility of the beam accidentally disengaging. 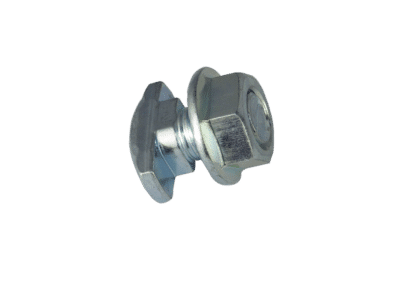 The T-Bolt connection is believed by some engineers to be a more rigid solution to pallet rack systems. 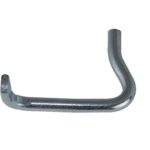 The Unarco T-Bolt clip installs from the front of the rack system and is then tightened to secure the beam to the frame.